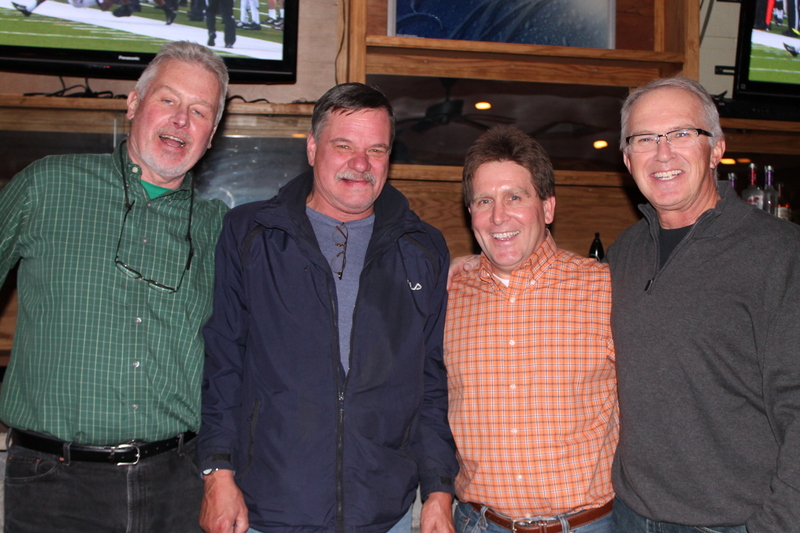 When your parents turn 60…you blow. it. out. 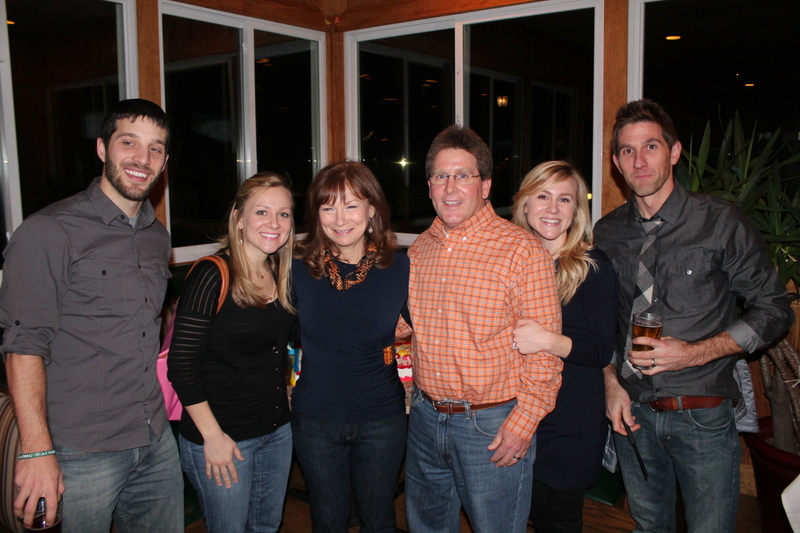 My super cool mom and dad turned 60 this year, so my sister and I and our husbands decided to throw them a BASH! We rented the party room at The Rochester Inn in the North Hills (highly recommend it!) and we packed that place. Is there anything better than wings and nachos and an open bar? I think not. 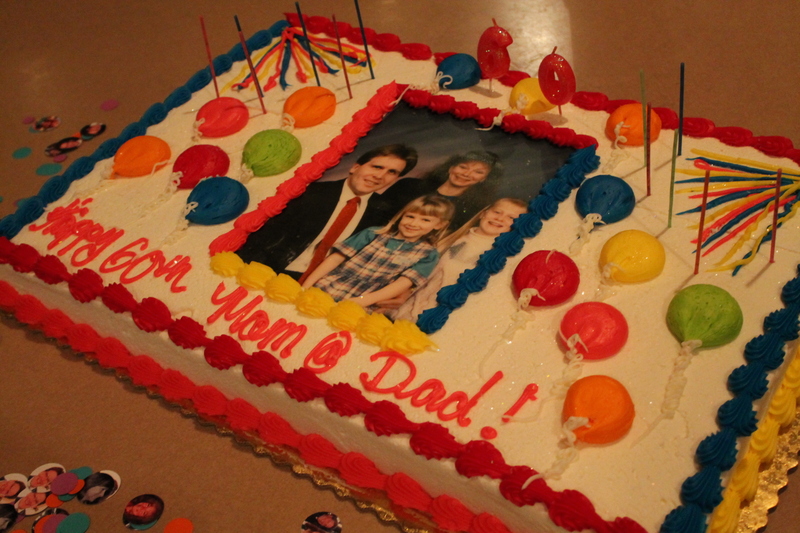 Kelly and I put the most ridiculous picture of our family on the cake. We had confetti made out of my parents’ faces (it’s called Photofetti.) 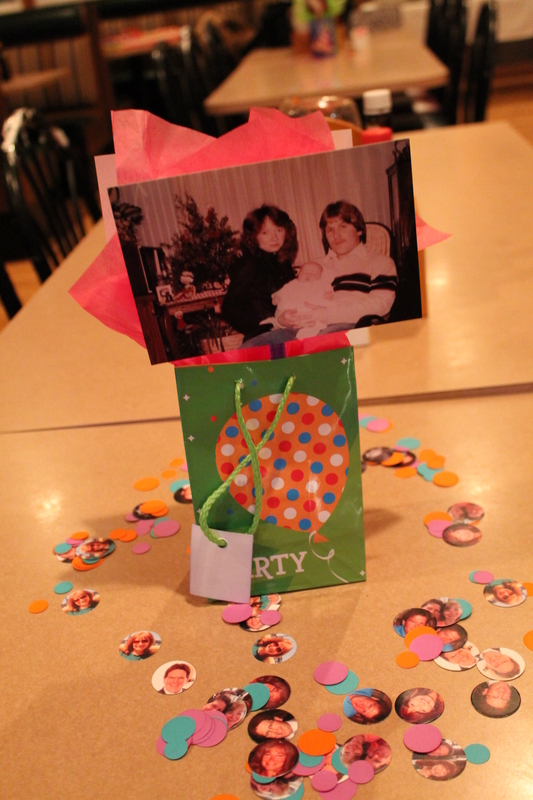 And then Kelly made these centerpieces with a bunch of old pictures we found.